KSER Seattle Interview with Gary Lemons Interview with Gary Lemons about his book Snake published by Red Hen Press with J. Glenn Evans host of Poets West on Seattle Radio Station KSER. "There is an odd equator of madness and song in this shadow decahedron where the fresh ideal of what constitutes solid form is taken up with mapping the other side of the river—here, by the way, the river is on fire and its song is one in which we become ecstatic and must drown. There is concealed in this work a flight from headlines and the sovereign silica. Such edgy and memorable new work by Gary Lemons." "Gary Lemons has reinvented a personal method from a collective mystique for creating poetry; he has written a work of deep insights that could very well reinvent how the world views poetry as an art form." 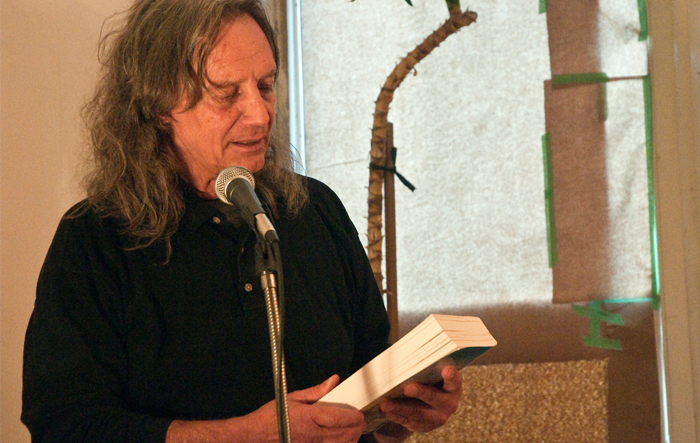 "With Snake, Gary reinvented his personal method for creating poetry, he has created a work of deep insights that could very well reinvent how the world may now view poetry as an art form." Russell Smith and Michael Foster asked Gary few question about the book Snake and the two upcoming sequels in the works.